Blockchain has grabbed the attention of the heavily regulated power industry as it braces for an energy revolution in which both utilities and consumers will produce and sell electricity. Although it effect is indirect on consumers, Blockchain could offer a reliable, low-cost way for financial or operational transactions to be recorded and validated across a distributed network with no central point of authority. As in the financial services industry, this capability has prompted some people to explore whether blockchain may one day replace a portion of utilities’ businesses by doing away with the need for intermediaries altogether. According to Bitcoin Magazine, April 2016 saw a flurry of media attention around the first ever blockchain-managed energy transaction in Brooklyn, NY. In this groundbreaking milestone, the owner of a roof solar panel sold a few kilowatt-hours of excess energy to a neighbor utilizing an Ethereum blockchain smart contract. Fueling this development via the Brooklyn microgrid was the startup company LO3 Energy. Today power and utility companies all over the world are now exploring various ways to implement blockchain technology. Doing so could upend existing models of how energy and utility markets function. Applied on a broader scale, it could be the spark that transforms these legacy industries. With blockchain, new revenue streams could be opened for citizens and independent operators to start trading renewable energy. As mentioned in this Railz Medium article, the electricity sector of the energy industry is still largely based on centralized power plants and stations that generates electricity and send them over long distances using power cables and distribution lines. However, in recent times, there have been a tremendously growing amount of independent operators producing smaller amount of power from rooftop solar panels and electric vehicle batteries that are distributable. The owners of these power generators and storage systems are however finding it difficult to maximize their value and make handsome profit from it. With Blockchain incorporated into the system, electricity producers can connect with consumers on a peer-to-peer basis and get paid immediately. This will enable them to have more funds to run and maintain a viable business. Blockchain will also help to provide energy consumers with cheaper and greener form of energy. It could bring about the development and usage of self-driving cars and other smart machines that will help reduce the amount of non-renewable energy used by consumers. With blockchain technology allowing the tracking of renewable-energy certificates and lots more, we are closer to a world where homes and buildings will be equipped with devices and software that automatically trade power to and from the grid on the basis of real-time price signals and this is exactly what Railz envisions. 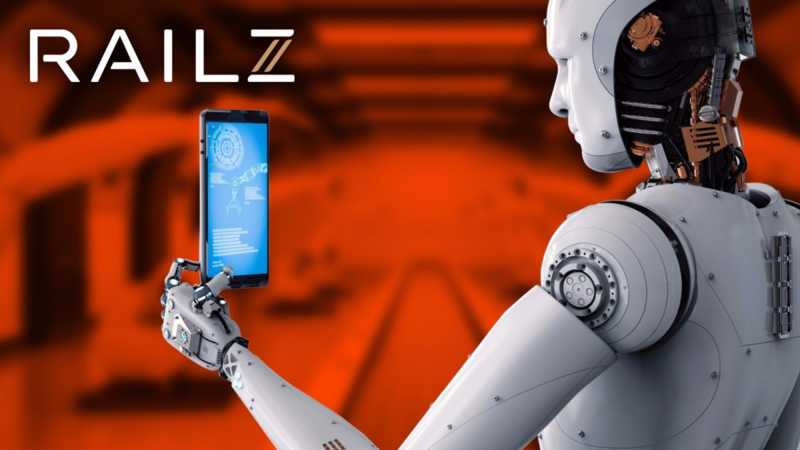 Railz is a blockchain-based next-generation protocol for a trillion machines to talk, negotiate and deliver the internet of things economy seamlessly. It also allows devices to reach optimal negotiated consensus autonomously on a ‘peer-to-peer’ basis. Thus bring us closer to the future we’ve always believed to be far away.